A resume and interviewing practice are not the only tools you need to have for a successful career transition. A self-care plan and mindset management are two must-haves for not only a positive career transition, but also for life. Self-care is defined as deliberate activities a person engages in on a regular basis to manage his/her health, wellbeing and stress. In the hierarchy of service, we often put ourselves last. Unfortunately, it is very difficult, and nearly impossible, to serve ourselves or others well, from an empty cup. When a person is well sourced by a regular, effective routine of self-care, he/she can then have the stamina and preparation needed for daily life; accomplishing goals; serving family and other activities such as completing the job search process. Mindset management is also an important part of a self-care routine for daily life, but most importantly for the career search. It is not unusual to send out what seems like hundreds of resumes on a weekly basis and receive maybe one or two calls for an interview. How positive and focused you remain amid this seemed constant rejection will keep the windows of possibility open for the right opportunity to come along. • leave with a renewed approach to self-care and mindset management that will reignite your life and career transition. Veronica is a Transformational Life Coach destined to bring enlightenment to women and men who want to figure out the what, why and how for their life, career, and relationships. She supports individuals as they transition from where they are now ... to who and where they desire to BE! Having had a similar story to those she supports, Veronica is purposed to support clients in discovering their passions and living out their purpose; identifying and eliminating the obstacles and roadblocks to their success and creating the energy and motivation they need to live intentional and fulfilled lives. As a SPHR and SHRM-SCP credentialed Human Resources Professional, she has coached managers and employees over her 20+ year HR career. She enjoys helping people live up to their full potential; and be their greatest and highest selves ... on and with purpose! Veronica still maintains her skills in Human Resources and consults with small and large businesses to provide group and individual coaching; HR policy and procedure development; employee handbooks; training; internal investigations; legal compliance; and benefit administration. 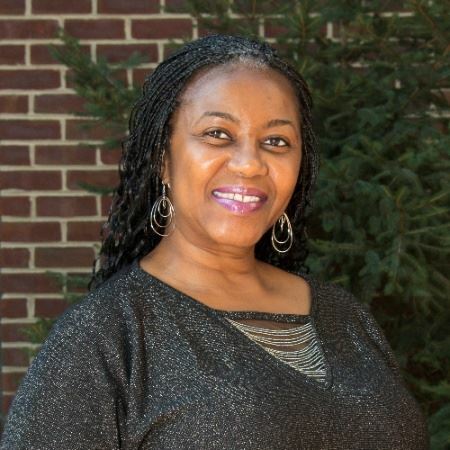 Additionally, she is a dynamic workshop facilitator, bible teacher and line dance instructor.